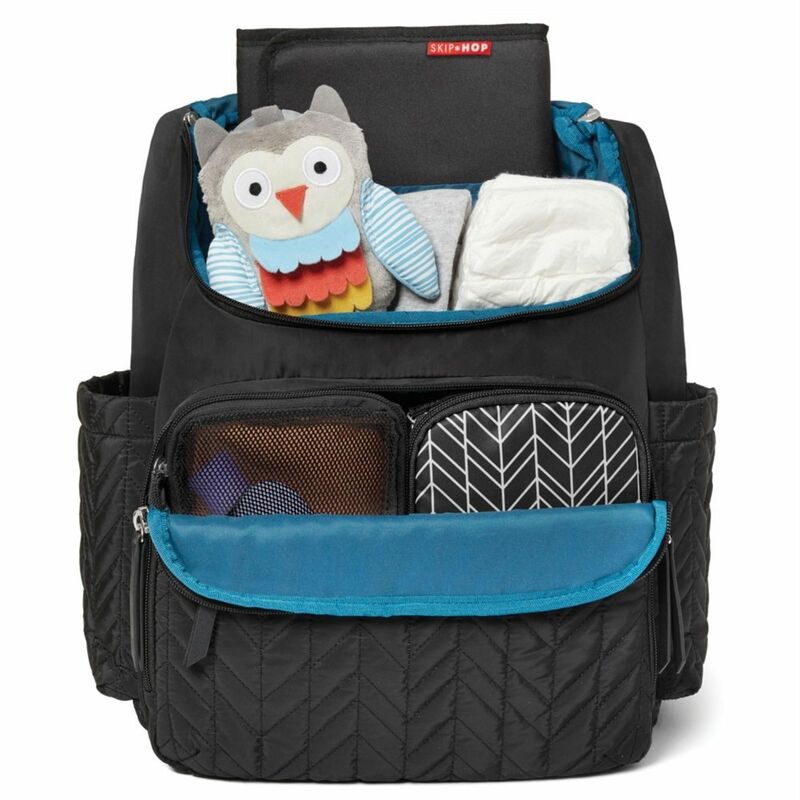 Offering hands-free convenience for parenting on-the-go, the Forma Backpack changing bag from Skip Hop provides you with a stylish storage and travel solution for holding all baby’s essentials. 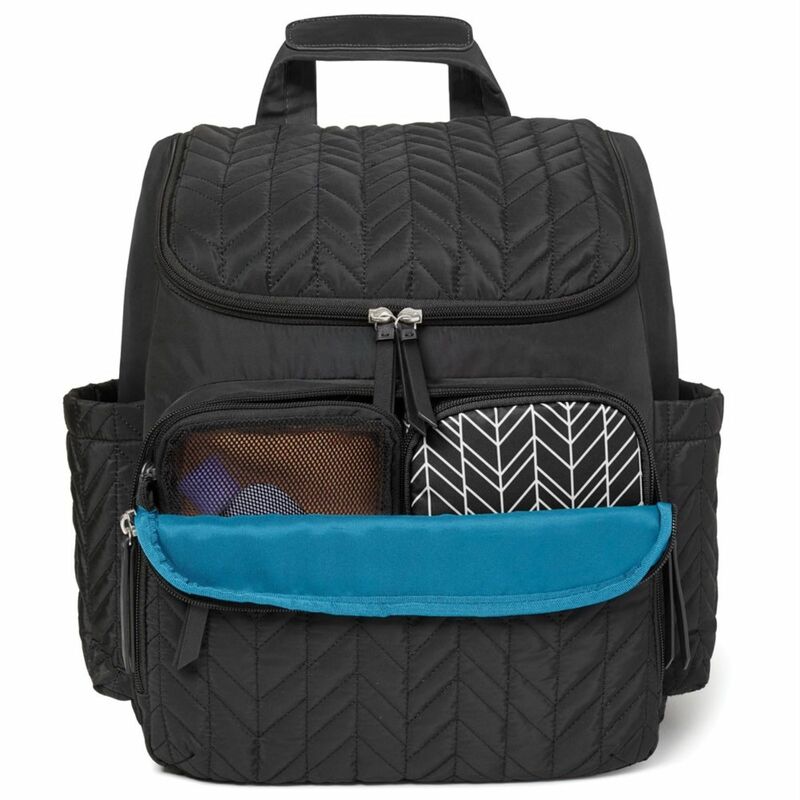 With lightweight fabric and attractive quilted detailing, the backpack benefits from a spacious interior and a separate front compartment which holds two multi-purpose removable storage pockets. 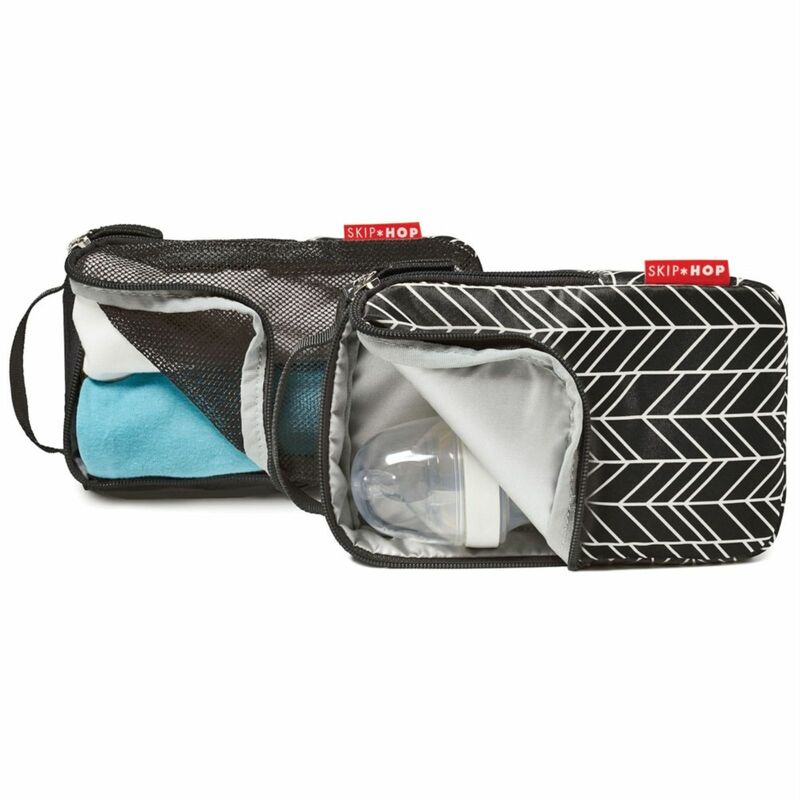 The trendy patterned cube is conveniently insulated which is perfect for bottles, sippy cups and snacks, whereas the other matching mesh cube is great for holding spare clothes, creams, talc and other nappy changing accessories. 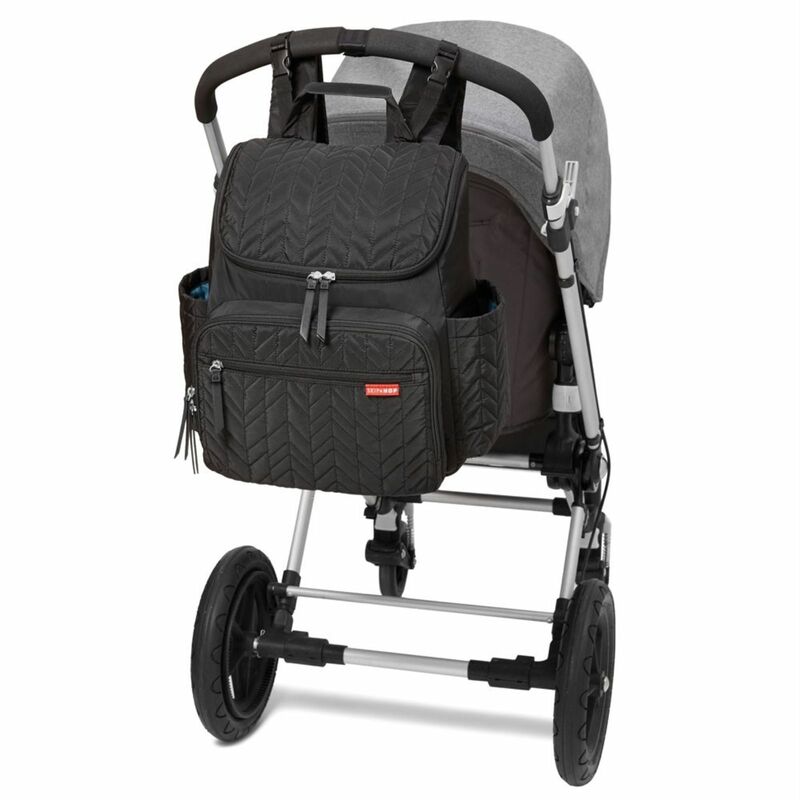 As always, the bag comes with a cushioned changing mat for hygienic pit stops on the go. Everything stays within easy reach with elasticated interior pockets, mobile phone pocket and insulated side bottle pockets. 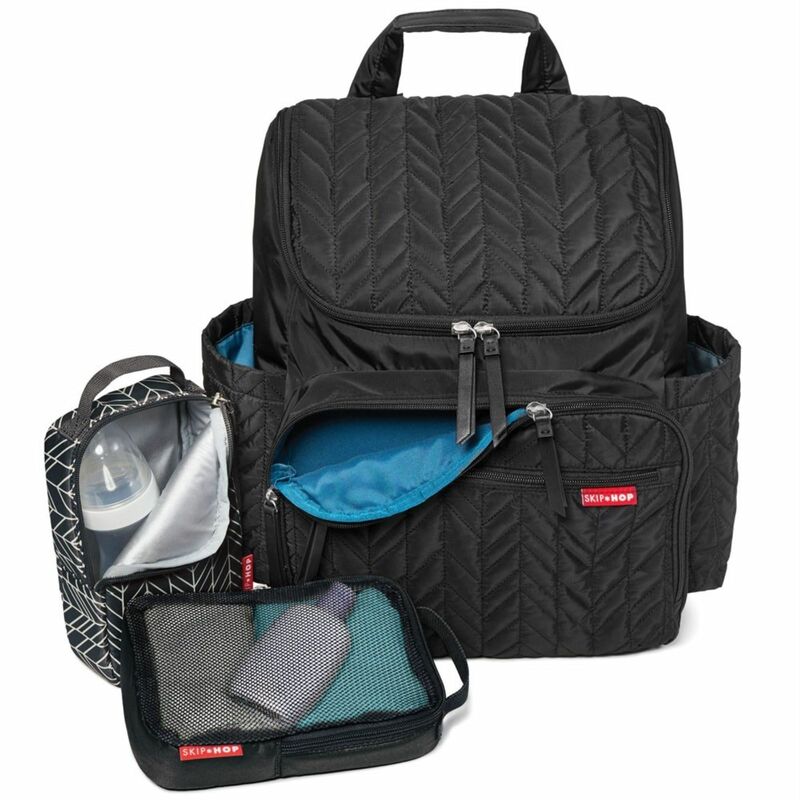 Fashion meets functionality with Forma!